Those of us who can't get enough of ARRL Field Day will be out the last full weekend of January operating Winter Field Day. I have an outdoors location reserved at Falling Waters State Park near Chipley, Florida. We usually get a break on the cold weather in Northwest Florida, but there are exceptions. I operated class 1B 2 operator for ARRL Field Day last June. It was a great experience. I am no seasoned camper but I made it through two nights. I was joined by Rick NZ2I for one night and he also was the camp cook. The antenna I built for the confines of the camp site was a big success. It is a 100 foot loop deployed 30 feet across and 20 feet vertical 10 feet above the ground. I designed it to fit in the camp site that will park a 30 foot RV. I have used it several times since Field Day and it performed well. 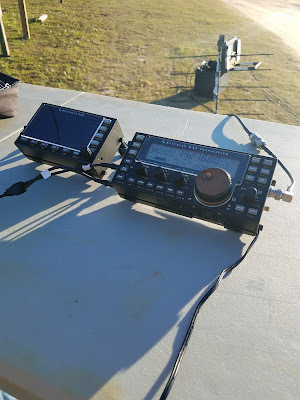 I will be at the same camp site and use the same loop antenna as last FD, but I will go for the QRP category this time. I just noticed that WFD rules allow 5 watts CW and 10 watts peak on phone and digital. I would really like to see ARRL adopt that definition. I have in mind to also go QRP in the June 2018 ARRL FD. So WFD will be a test of my QRP station. 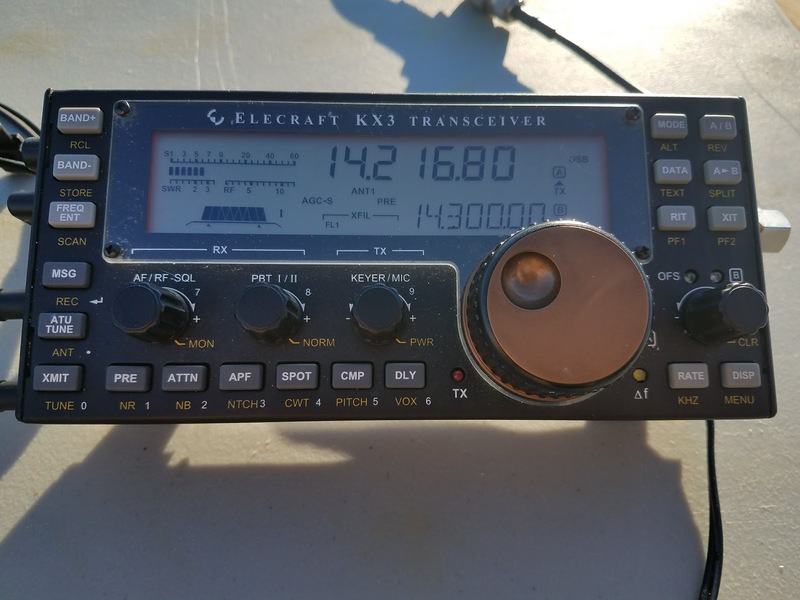 My choice of a WFD QRP rig is my Elecraft KX3. I decided to dress things up and add a Elecraft PX3 spectrum display and a heat sink for the KX3. 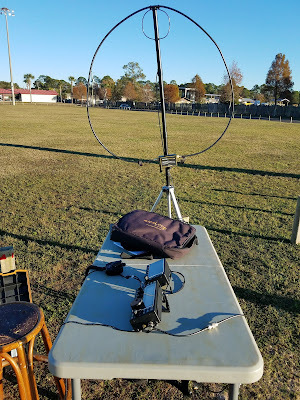 I took the KX3 and PX3 for a test drive Sunday and I am very impressed with the PX3. I am interested in PSK-31 for Field Days. I have done very little. The KX3 built in support for PSK is enhanced greatly with the PX3 spectrum and waterfall display. Also, the PSK text is decoded in the text area of the display. I can see PX3 much better than my laptop. I brought up FLDigi on the laptop and my eyes don't jive with that tiny text font. So my next step will be hooking a keyboard to the PX3. It will do the text macros and such for PSK as well as CW. I will also install the heat sink and do the temperature compensation. 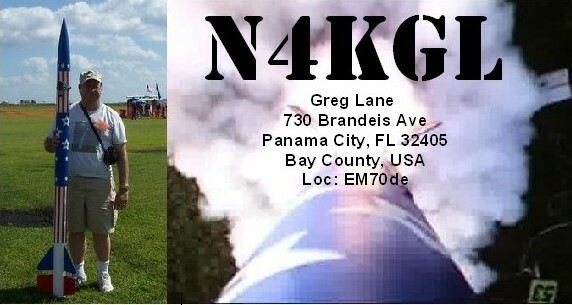 I will have a few outings before WFD to get comfortable with the KX3 and PSK. 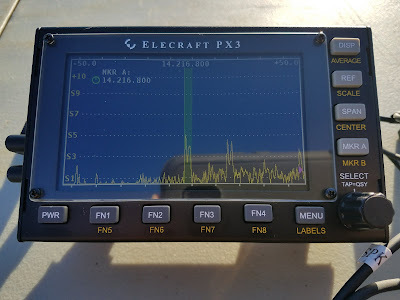 The computer solutions for PSK are great but I think the Elecraft approach will be fine for adding some digital contacts on WFD. My friend Bob KK4DIV will have a camp site across the park road for WFD. Dennis WA6QKN and Chris VA3ECO have plans to come and play. It will be fun! I enjoy planning phase for these events. .